The 100-mile diet movement is certainly nothing new and nowhere is that diet easier to adhere to than on Vancouver Island. Anything and everything your body needs to stay healthy is all within your fingertips from artisan cheese and organic greens to fresh dairy products and tasty grains. 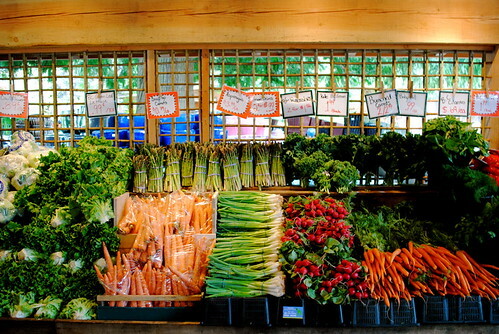 Launched in 2001, the Cowichan Green Community (CGC) is dedicated to “promote environmental sustainability in the Cowichan Valley with a focus on cultivating a strong and vibrant local food system” – a commitment the group takes very seriously. With a home base in Duncan, the CGC encourages nourished living through community events, workshops and various campaigns and projects. The Eat Local! Eat Fresh! Fundraising Feast celebrates the culinary abundance our Island has to offer, featuring food that is entirely locally sourced and excitedly prepared by a show-stopping catering team. With vino offerings from Cherry Point Vineyards and True Grain Bread on hand to tempt with mouth-watering desserts, the event promises to please every palate. 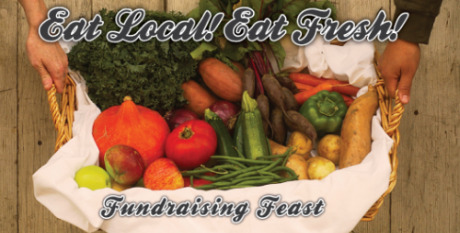 This feast-for-all happens Friday, September 30th at Alderlea Farm‘s brand new cafe found at 3390 Glenora Road in Duncan [map]. Apart from the savoury eats, the evening also features a silent auction, live entertainment and door prizes. Tickets are $50 for CGC members and $60 for non-members with 100% of the proceeds to benefit CGC’s continuing initiatives, including the Farm To School lunch program. Tickets can be purchased at the Cowichan Green Community at 181 Station Street in Duncan [map]. Find them on Twitter for the latest updates. One thing that has consistently impressed me with our travels around the lower mainland is the amount of food that comes from the area when you’re eating in various restaurants. Between Vancouver and Whistler, they pull from the Okanagan, Fraser Valley, Pemberton Valley, and all over the island. However, I’m finding that on the island, places there are trying to pull from just the island itself, getting away from relying on the mainland, which I find fascinating. It’s not that surprising, but in this day and age of mass distribution, it’s pretty impressive. And now I crave buffalo mozzarella. Cowichan was also the first “Citta Slow” or Slow Food city in North America.